Home Opinion IS THERE STILL A DEARTH OF LYRICAL CONTENT IN NIGERIA? IS THERE STILL A DEARTH OF LYRICAL CONTENT IN NIGERIA? We as Nigerians always have a thing or two to argue about the (meaning of some) lyrical content in the mainstream of Nigerian music. The major style of music in the mainstream Nigerian music scene is the freestyle kinda thing. Freestyle doesn't give the ability to be creative with your lyrics.Well, sometimes it does insincere but it still depends on who the artist is. One of the artist's reasons there's still a dearth of lyrical content is the lack of criticism. Let me give a scenario, most times when artists entrust someone to listen to their song(s) before its released, they're unsincere about it. 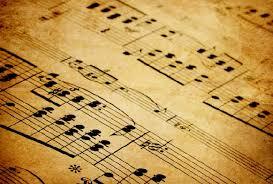 Most times, the person or people listening get engrossed in the beat and never deep the lyrics of the song. or most times it's just oh the beat is nice, we'd make a lot of profit from it. However, not all Nigerian songs have very bad lyrical content. We have seen some contemporary musicians in Nigeria, who have been able to carve a niche for themselves and save the rest from utmost disgrace and bad names. It's really not just about singing and showing you have a good voice but being able to pass a message across and that's what quite a number of people don't understand. I mean, to some artists, it's just I want to make money and the music industry seems to be profitable so let me just use my voice to attract people. I always tell people, you can have a good voice, pass good messages and still make a profit. Asa is a good example. Not every Nigerian appreciates her because we're used to the freestyle amazing beat kind of song. Most songs in Nigeria have a short life- span. All I'm trying to put to the public is that lyrics play an essential part of music. Now don't misunderstand the fact that Nigerian artistes still get featured by other artistes from all part of the world or the fact that their songs are played worldwide, there's still a lack of lyrical content. Let’s just wake up to the sound of good music and make our day very good! It doesn’t kill us to make good music. Rather, it awakens our sense of poetry and reasoning. The Music scene in Nigeria still has a long way to go in realising a good lyrical content.